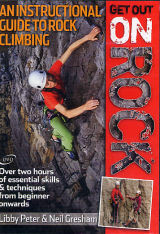 Top level climber and coach Neil Gresham has teamed up with Libby Peter - an experienced Mountain Guide and climbing instructor - to bring the very latest in rock climbing skills and techniques. Whether venturing out on rock for the first time or doing some more adventurous climbing, this new film will provide both instruction and inspiration including rope-work skills, movement techniques, tackling single and multi-pitch routes and how to prepare for mountain and sea-cliff adventures. Neil and Libby introduce the essential skills progressively whilst also showing off some of Britain's classic venues including Swanage, Stanage, the Roaches, the Cromlech and Gogarth.